A great partner to our district, the Shippensburg Area School District Foundation was established in 2001 to provide a financial base to expand and develop educational opportunities for all students within the district. This effort is intended for but not limited to, academic enhancement, transformational change, staff development, and scholarships. The SASD Arts Committee works to develop community resources to improve arts-related student opportunities and programs at SASD. 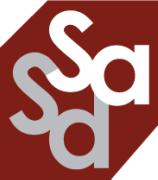 Its membership is composed of concerned community members and SASD arts education professionals.